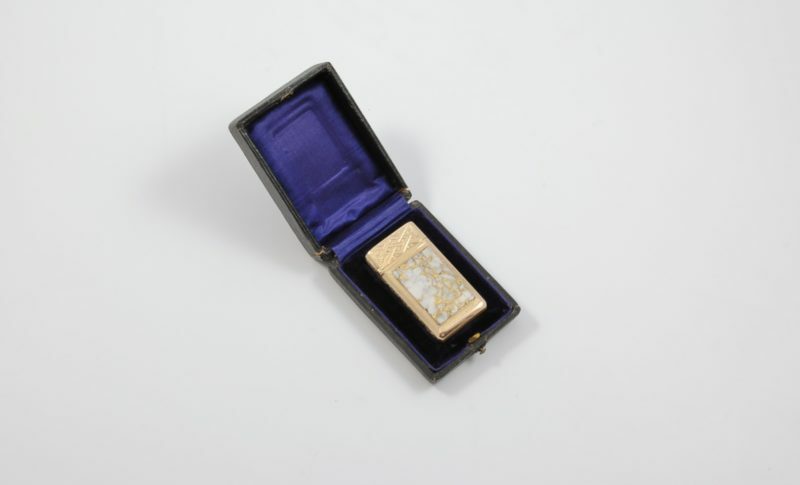 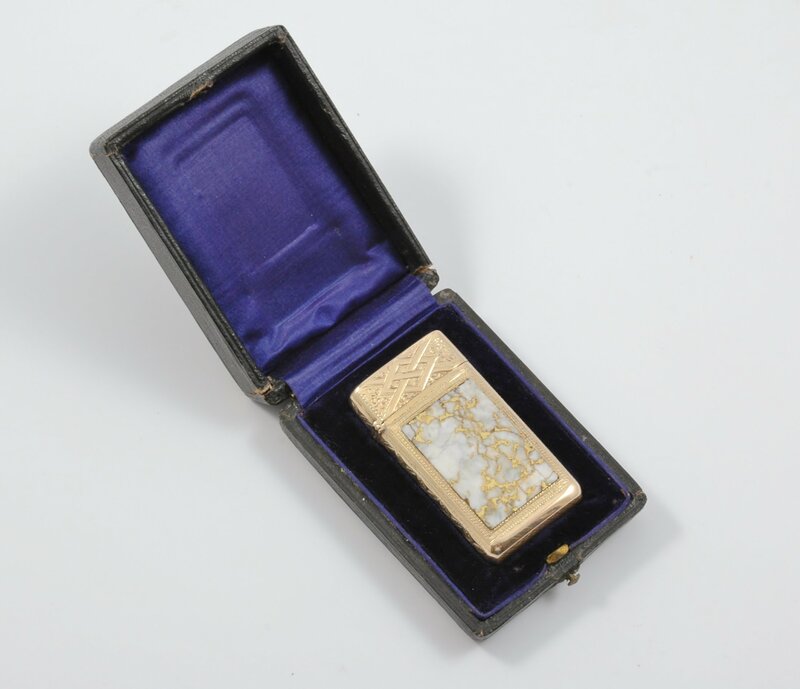 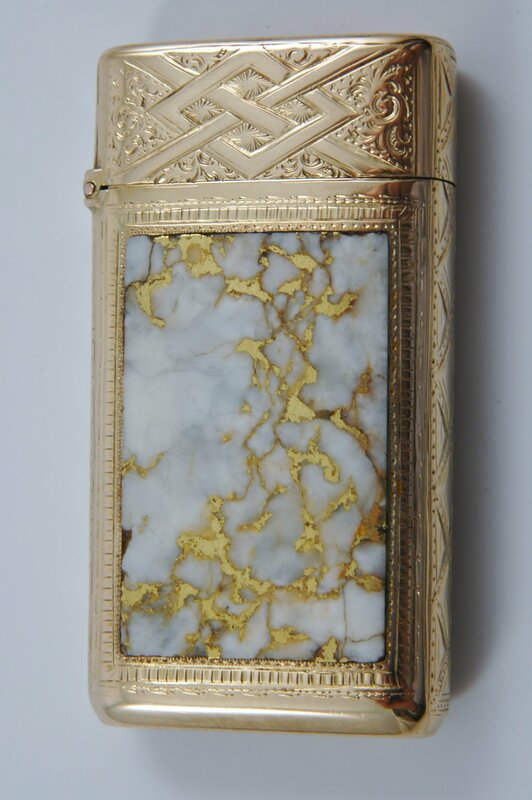 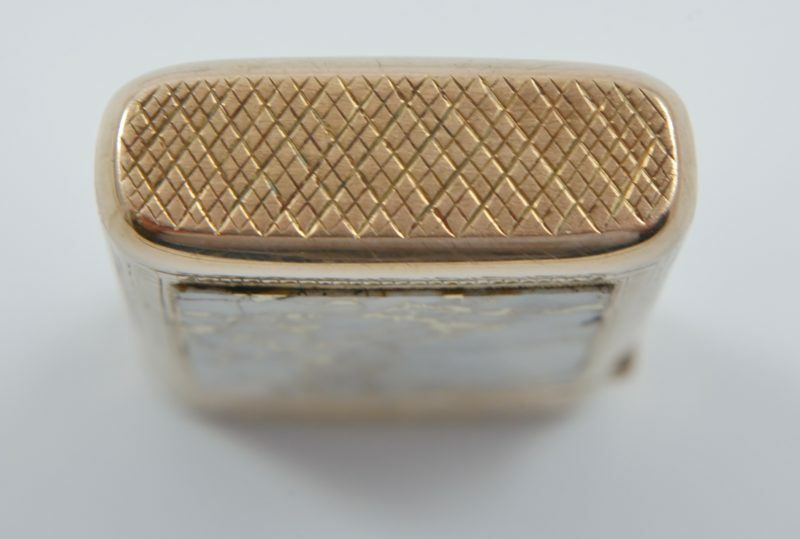 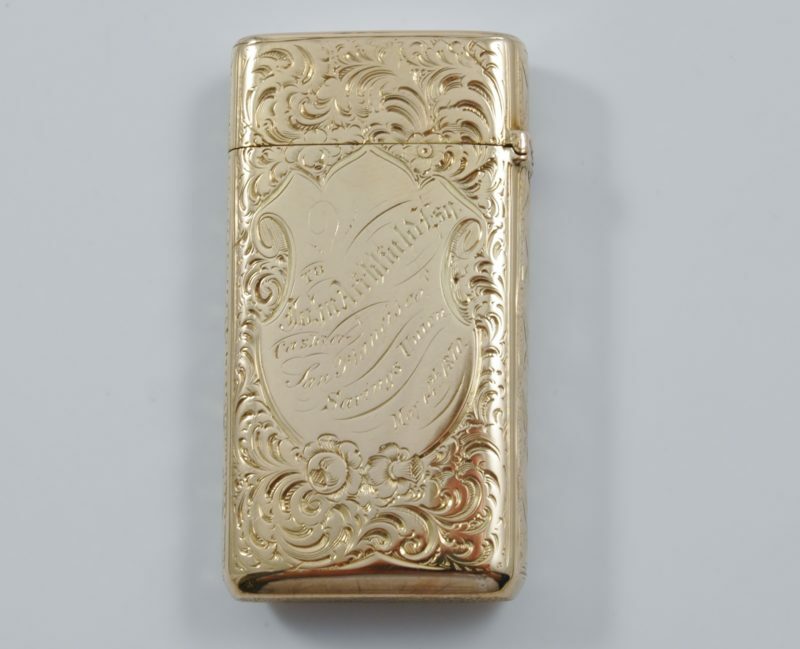 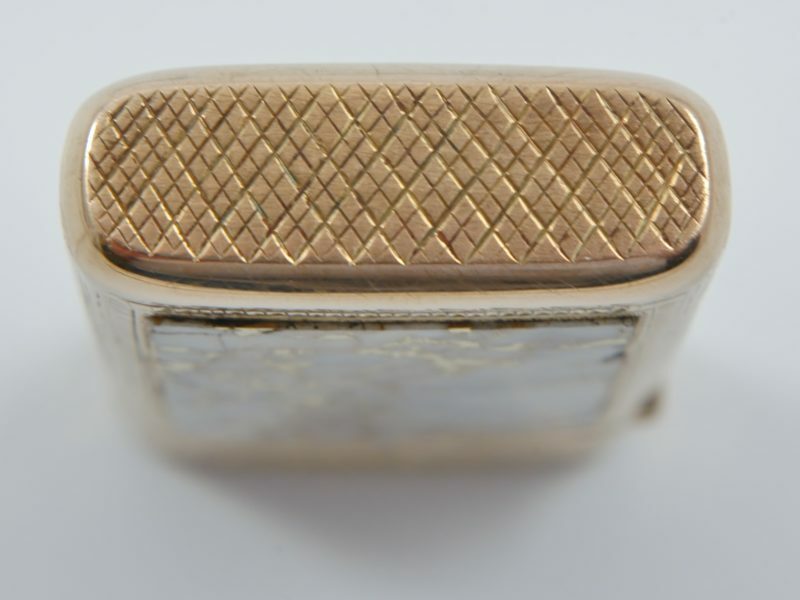 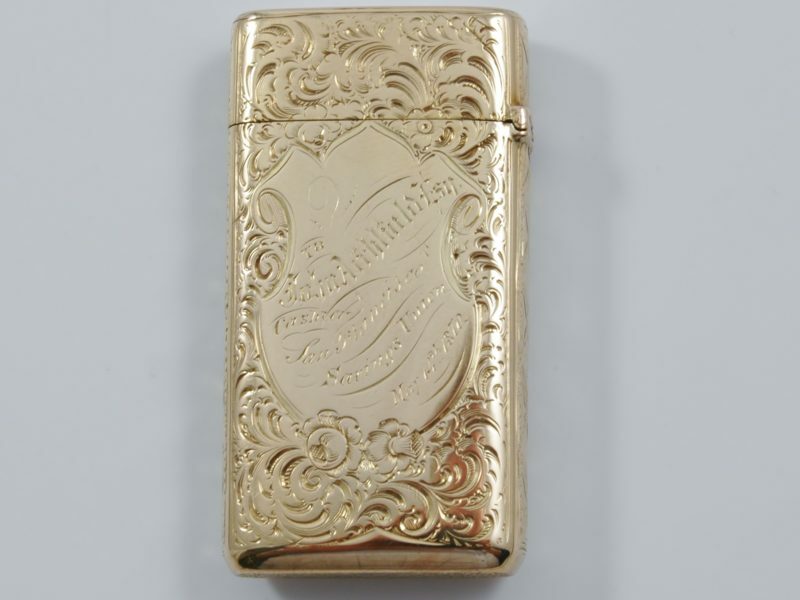 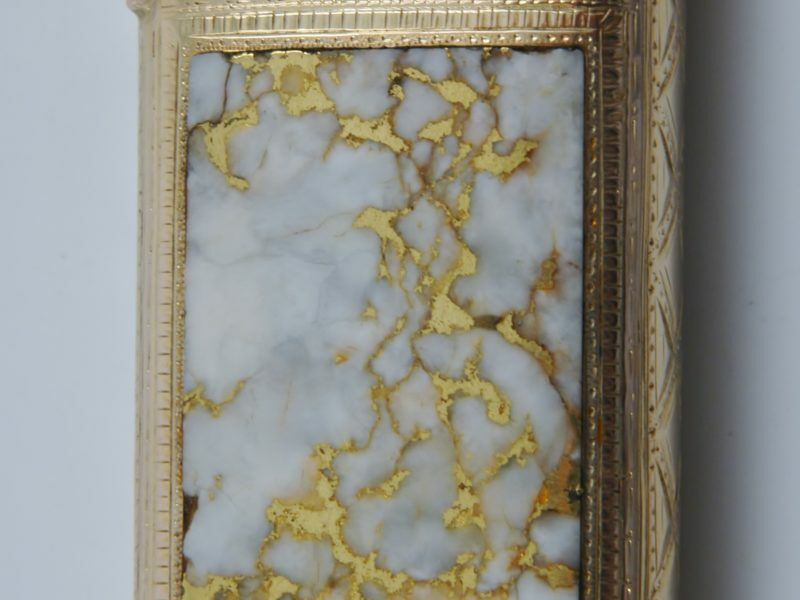 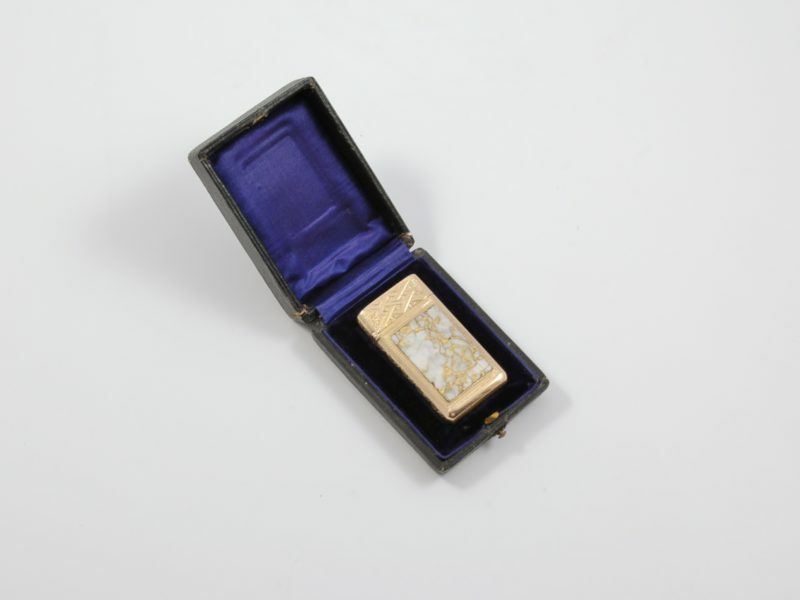 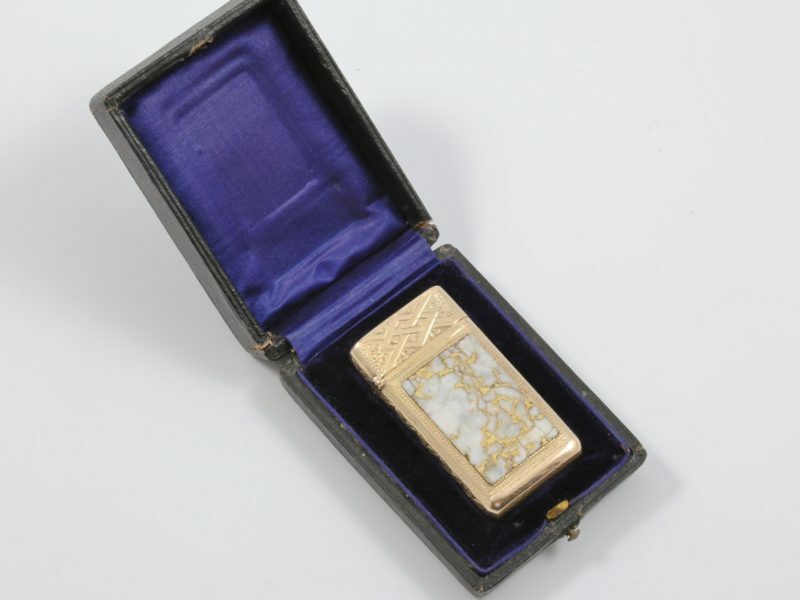 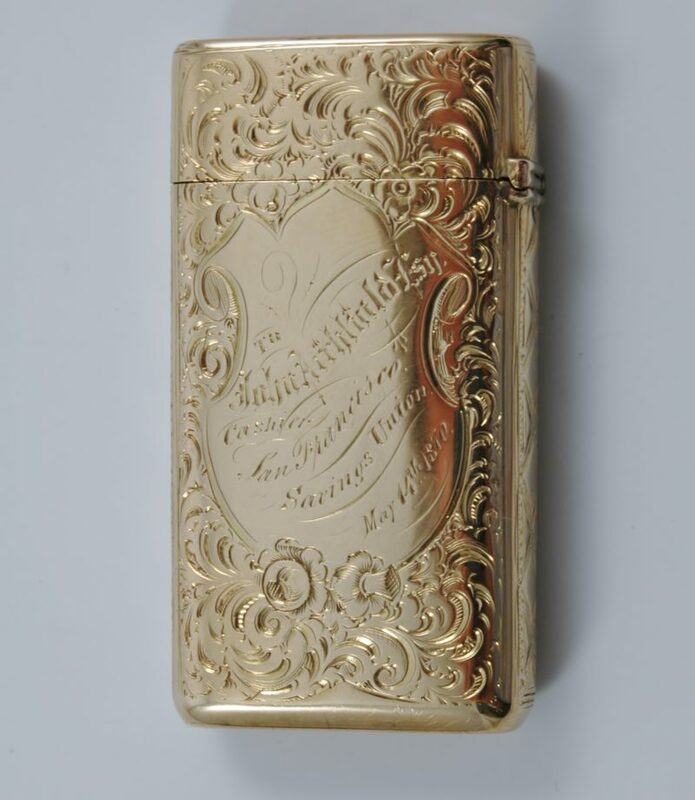 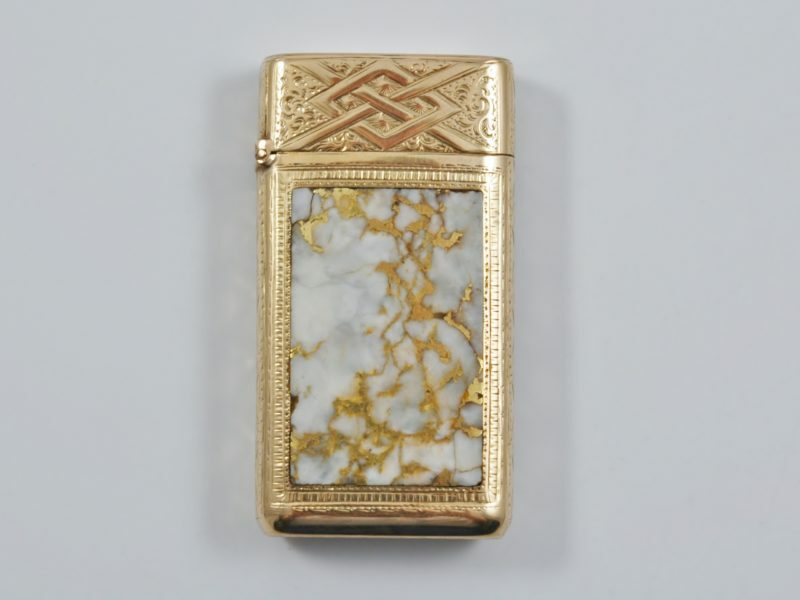 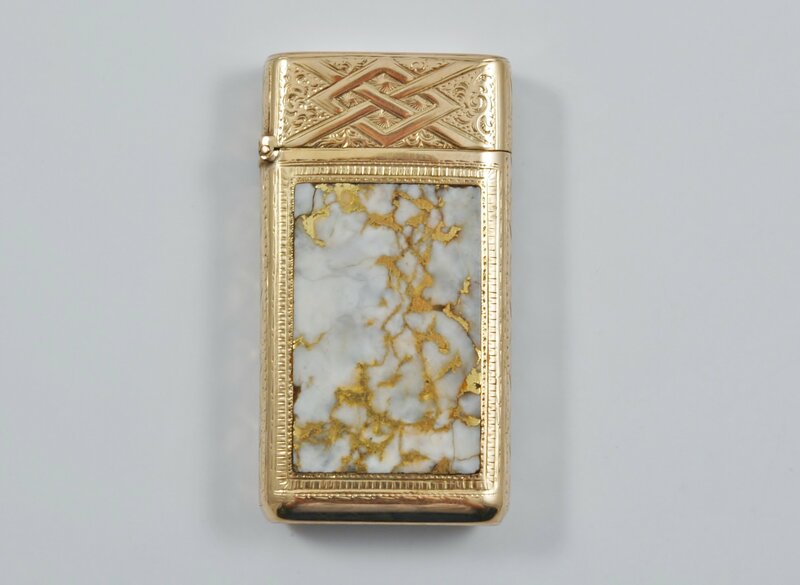 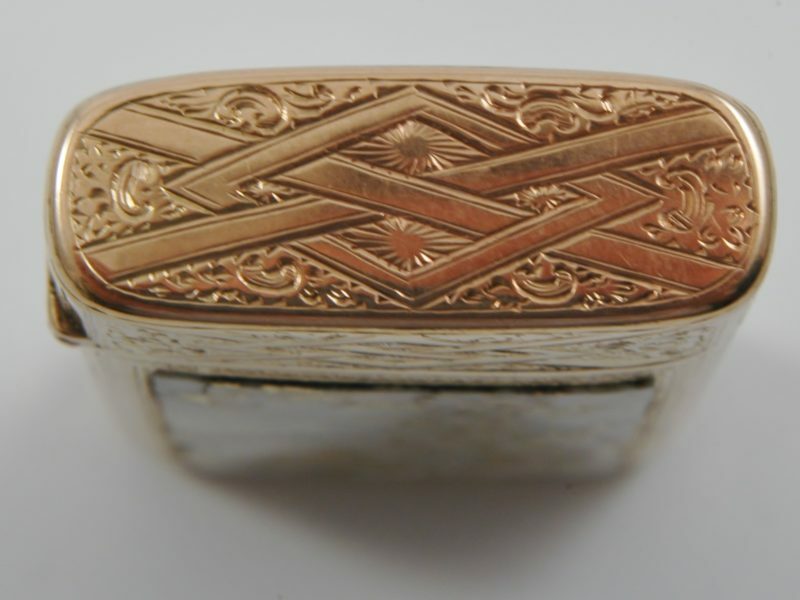 SKU: S 95 Categories: Silver, Collectables Tags: American antique gold, American gold match safe, American gold vesta case, George C. Shreve & Co.
American 14-18 carat gold vesta case or match safe inset with gold quartz stone and dated 1870. 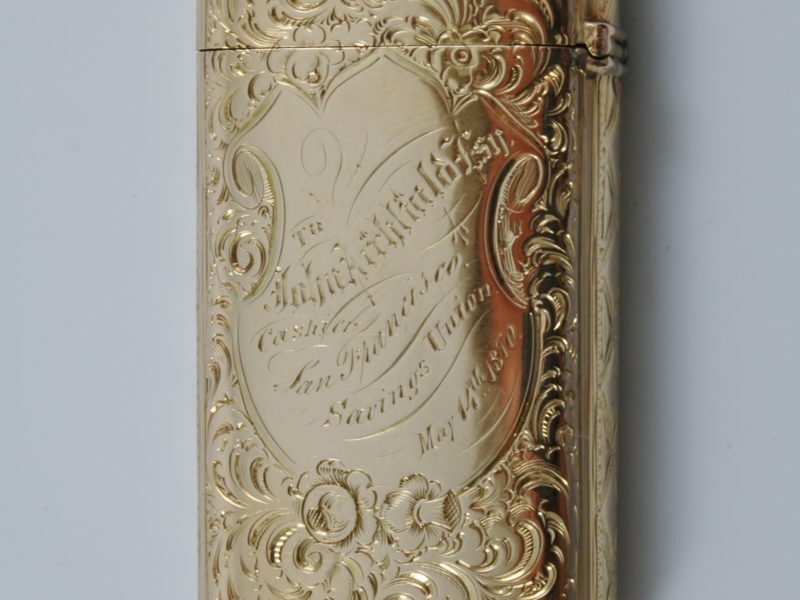 The Maker is probably George C. Shreve & Co., San Francisco, CA. 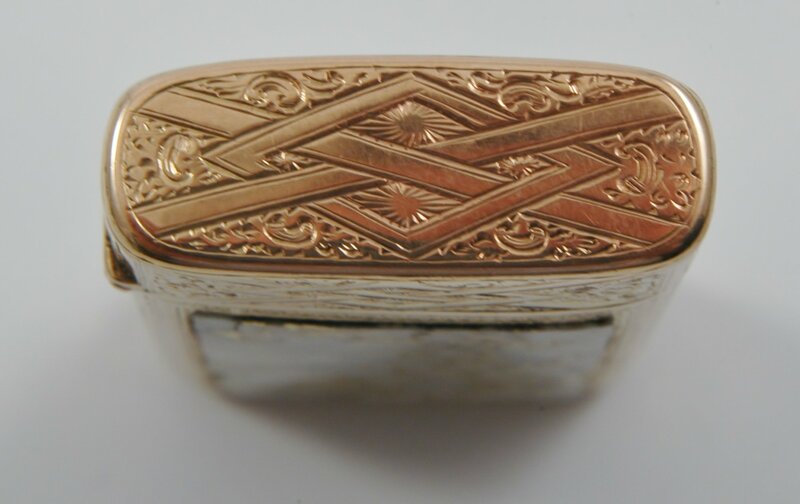 Dimensions: 5,8 cm long by 3 cm wide by 1 cm deep.